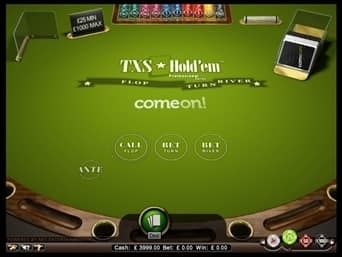 ComeOn Casino was established in 2009 and is built on Microgaming, NetEnt, Playtech, Evolution, Play n Go, NolimitCity, Yggdrasil, Betsoft, WMS, Quickspin and Thunderkick software platforms. Credit card and bank - 2 to 7 days. Online wallet - 24 hours." Albania, Belarus, Bulgaria, Czech Republic, Cyprus, Estonia, Georgia, Greece, Hungary, Italy, Latvia, Lithuania, Moldova, Pakistan, Portugal, Romania, Russian Federation, Spain, Ukraine. ComeOn Casino belongs to Co-Gaming Limited Casinos and was established in 2009. The site currently holds a licence from Malta and the UK Gambling Commission, which ensures that it meets with certain regulations. The casino is not currently able to offer players in the US accounts at this time. The casino has a great layout, with fresh colours and a site that is extremely easy to navigate. This is something that is very appealing, especially for a casino with so much to offer, because it adds to the overall positive experience of the site. The fresh, bright colours are inviting and ensure that this casino stands out amongst the many online establishments that tend to favour the darker colour pallets. When it comes to software, ComeOn Casino is built on Microgaming, NetEnt, Playtech, Evolution, Play n Go, NolimitCity, Yggdrasil, Betsoft, WMS, Quickspin and Thunderkick software platforms. 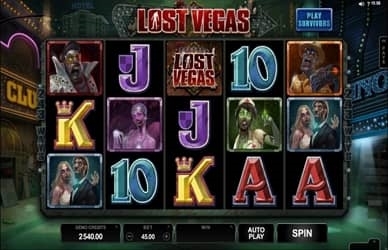 This has allowed the casino to offer players a range of some of the best games in the industry, but it is the classic and video slots that have drawn the widest audience. Some of the biggest titles on offer at ComeOn Casino include the Mystery at the Mansion, which is actually a title that was inspired by the popular board game Cluedo, and Summer Dream. The video slots are perhaps some of the most exciting titles on offer at this casino because they offer great themes, not to mention some of the biggest rewards. Slots are not all that are on offer at this casino. Table games are also being offered at ComeOn Casino, including roulette, craps and blackjack. 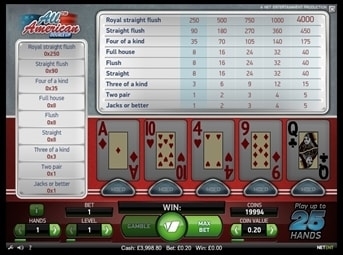 Variety is most certainly not something that is lacking to anyone looking to place their bets at this establishment and this ensures that players will not get bored, even after visiting this online casino over and over again. Having something new to look forward to is just another way that the casino rewards players that continue to return to the site. The live casino section is offering players the opportunity to place their bets in an environment that will feel much the same as a land based casino. 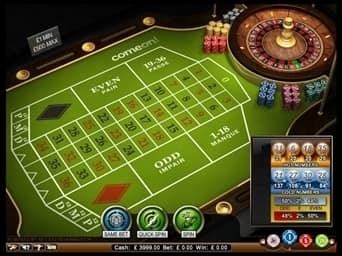 The table games being offered within this section of the website include roulette, blackjack and baccarat, and they are being hosted by real live dealers. 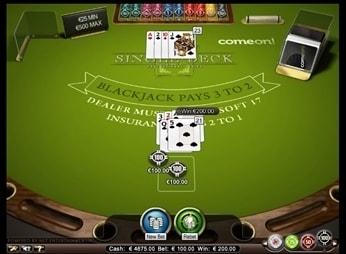 The live section’s variety means that players do not only have a chance to try their hand at their favourites, but they can also try their luck at some different games. The casino’s mobile section is a great way for players to place their bets at ComeOn Casino from just about anywhere and everywhere, as long as they have a mobile device on hand. All players will need to do in order to access their account is to download the ComeOn Casino app. 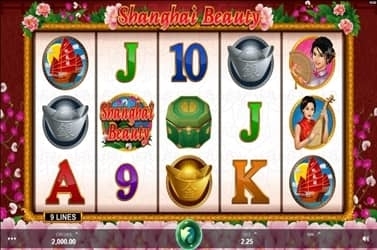 With this app, players then have access to the sites slots and live casino regardless of where they are. Apps are becoming more and more popular with online casinos because they are quick to download and they are very easy to access. The welcome bonus being offered to players of ComeOn Casino GO HERE is a $€£25 match deposit bonus and 20 Casino Spins on Starburst, the bonus needs to be wagered at least 35x before a withdrawal can be made – terms and conditions apply. This wagering requirement is very fair when compared with many other online casinos on the market see . Players will want to make sure they are aware of the percentage contributions that different games have towards the wagering requirement, so that they can aim to meet it. As players place their bets within ComeOn Casino, they will acculumate points and these can then be exchanged for various prizes at the ComeOn! shop. 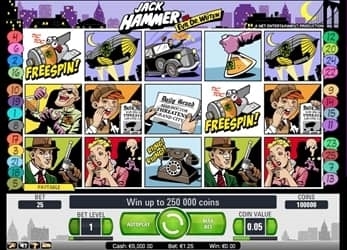 The prizes include money bonuses, free spins and reload deposit bonuses, to name but a few. These bonuses ensure that players always have something to look forward to when visiting the casino. Security is something that ComeOn Casino has gone to great lengths to ensure and it starts with encryption technology from Thawte. This encryption technology actually secures the personal information of the players who register and bank with the site. Furthermore, the site is independently audited by SecurityMetrics, which is a company that ensures the casino is compliant with industry standard security protocols. Customer service is available to players via email and live chat, which is something that most online casino players prefer when getting in touch with this sort of establishment. The live chat feature, while preferred, is only available to players during the hours of 10:00 to 22:00. These time frames might be somewhat limiting, but it does allow players the opportunity to get assistance directly from a customer support representative and so it remains a very popular alternative. ComeOn Casino introduces players to its platform with a fresh and exciting layout and this is enough to get players interested in what the casino has to offer. After being built on a combined platform of some of the best names in online gaming development, this casino is able to boast some of the best games on the market, allowing players the best possible experiences when they sign up with the site. To keep players entertained, the site offers not only a sound welcome bonus, but also some great prizes to those who continue to support the site, and this ensures that players will continue being rewarded for their loyalty.